Maybe it’s the continued cold weather we’ve having here (why am I wearing a coat in September? Get it together, Australia), or maybe it’s my German heritage, but sometimes there’s nothing I want more than to load up on delicious European carbs while listening to the rain outside. And with MoFo-ers all over the world, the inspiration is almost endless! Over at Melon Collies and the Infinite Sandwich (outstanding! 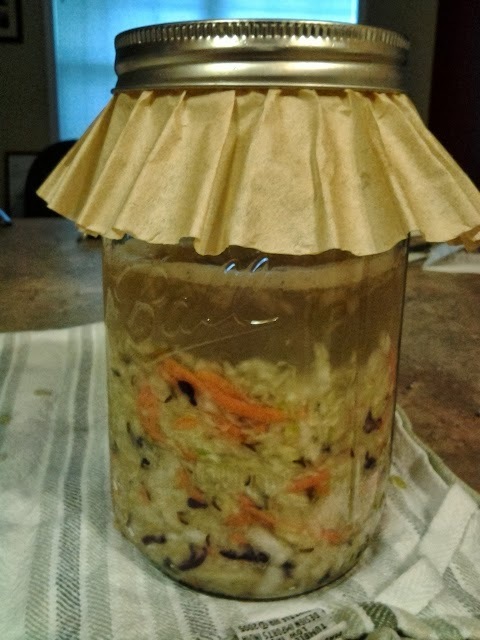 ), Kara is starting from scratch with her home-fermented sauerkraut. Hilarious descriptions of the process and its odours aside, this looks like the perfect starting point for some serious deliciousness. 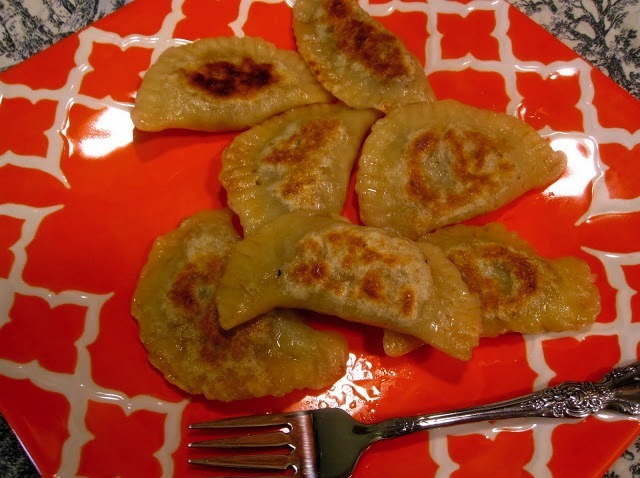 And these sauerkraut and mushroom pierogi from Vegan Kitty Patrol look like the natural choice for that cabbagey goodness. 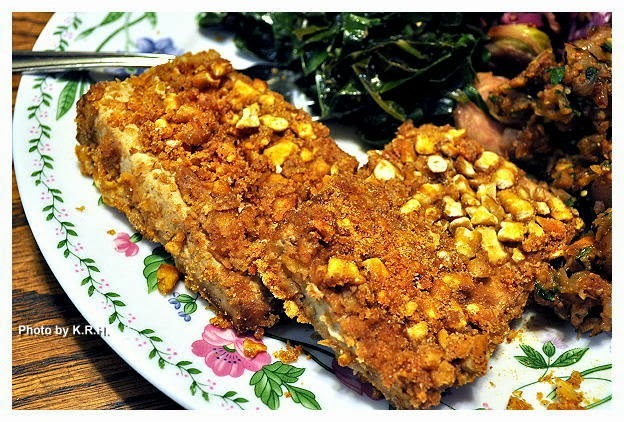 Kyleigh from the Good Karma Kitchen has the perfect hearty follow-up dish, with these tofu schnitzels– with pretzel breading, in true German style! Over at the Vegan Kitchen of Dr Caligari, Luca has been making some of the most creative cupcakes (sweet and savoury!) that I’ve ever seen. 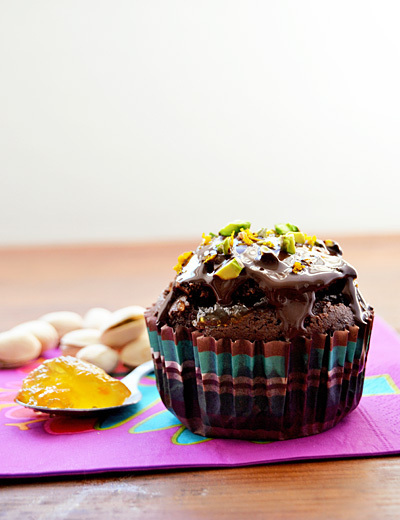 It’s hard to pick a favourite, but these Sachertorte cupcakes with bitter orange jam and pistachios are calling my name today. Of course, no German round up would be complete without Mihl’s classic German desserts at Seitan is my Motor. 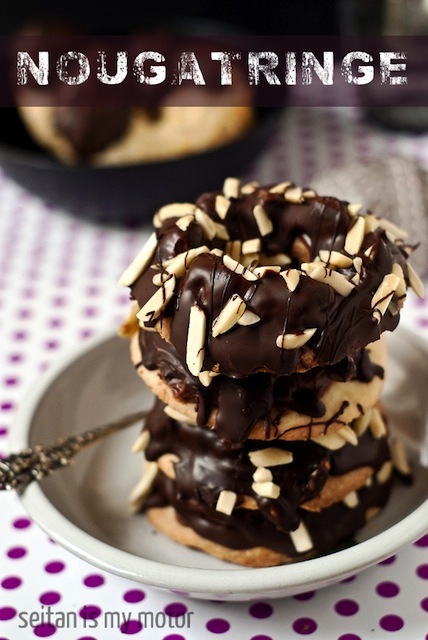 It’s not the first time we’ve featured Mihl’s decadent treats, but this theme has to be my favourite this year. Nougatringe were always a staple feature on my German family’s coffee table, so no late night beverages would be complete without trying to cram one of these into an already over-stuffed stomach. Mmm, I’m feeling toasty warm and comforted already! Oh yeah, those cupcakes look amazing! So do the pierogis. Actually, I wish there were a way to have all of these for lunch today. That Nougatringe looks amazing! My Mom would approve.